Traversing the Great Plains of North America by horseback, our project will celebrate the immense beauty of the North American grasslands. We will explore what our legacy as stewards of this land has been and what it might become, shaking hands with the landscape and the people who call it home. Inviting discussion with local ranchers, farmers, ecologists, artists, and the public alike, our journey will dive into the region’s rich historical past, shed light on its present condition, and help inspire creative possibilities for its future. Film, photography, and writing will help us share the stories we encounter along the way. 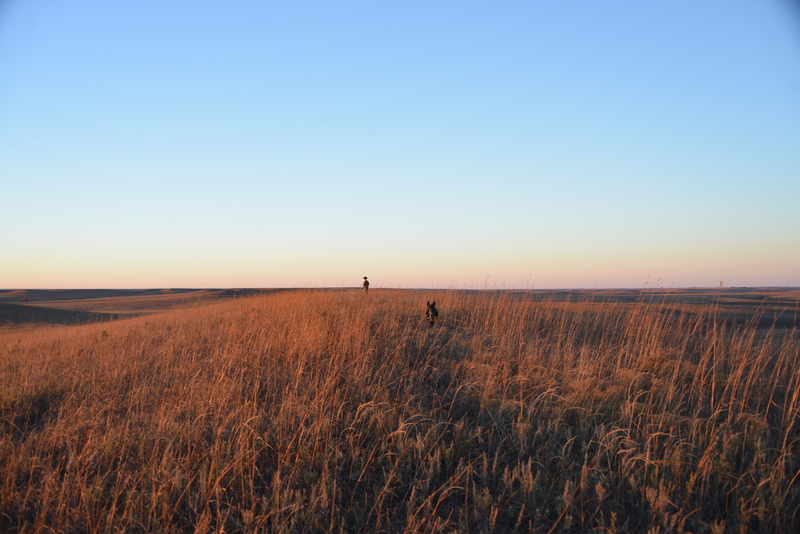 We will examine the roles ranching, farming, and wildlife conservation play in protecting our prairie heritage. Our multi-faceted project merges science, art, education, outreach, and, of course, horses in a way we are certain will excite a deeper understanding and appreciation of the natural world and our place within it. This is a landscape that is often passed through at 75 mph, or looked down upon from 30,000 feet in the air; we want to slow down. This will help us understand the richness of its habitat and the complexity of its story, experiencing both the micro and macro scales at a visceral level. We will connect ourselves intimately to the land through which we are traveling: its fertility, abundance, and limits. 1) We will produce a documentary film that will share the beauty of the landscape and the perspectives of the people we meet along the way. It will be used as an educational tool to promote greater local and national involvement in determining the future of an ecologically imperative region. 2) We will invite discussion along the way with a diverse number of stakeholders including ranchers, farmers, conservation organizations, writers, artists, and middle schools alike. We will discuss the importance of stewardship in the region, explore the complexities of its current state, and spearhead dialogue about creative solutions and approaches to a sustainable future in the region. 3) After we complete the ride, we will present our film at high schools, universities, and other groups. We will give talks nationwide to encourage further engagement with this enormously important region, inviting diverse communities to become involved in its story. Our first presentation will be hosted by Colorado College’s State of the Rockies Project at their annual lecture forum. 4) After completion of the ride, we will exhibit our work at galleries around the country, combining art, community, and education to deepen ecological understanding and appreciation of the natural world. Our first stop will be at the Smokebrush Foundation’s art gallery in Colorado Springs, CO.
We are teaming up with Colorado College’s State of the Rockies Project, which aims to increase public awareness of environmental concerns in the Rockies states. We will present at the Rockies Project’s annual lecture forum, screening our documentary film and sharing our perspectives at Colorado College.